President Dmitry Medvedev on Wednesday signed a decree which bans deliveries of S-300 missile systems to Iran. 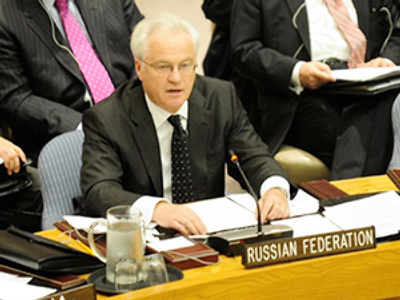 The decree is called on “On Measures to Implement Resolution 1929 of June 9, 2010 of the UN Security Council,” the Kremlin press service said. It bans any transit across Russia and the transfer to Iran of all types of combat tanks, armored personnel carriers, large-caliber artillery systems, warplanes, helicopter gunships, warships, missiles or missile systems as defined in the UN Register of Conventional Arms. 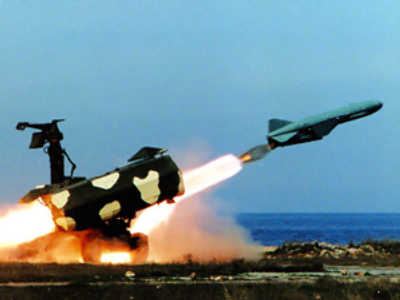 The ban also concerns S-300 surface-to-air missile systems, or materiel, connected with the above weapons, including spare parts. The document also bans technical and financial assistance to Iran related to deliveries, production or use of the above weapons and technical support connected with ballistic missiles capable of carrying nuclear weapons. A number of Iranian scientists and officials connected with possible development of nuclear weapons are now banned from entering Russia or traveling through the country. The decree mentions Abbas Rezaee Ashtiani, a senior official at the Office of Exploration and Mining Affairs of the Atomic Energy Organization of Iran (AEOI), Mohammad Eslami, head of the Defense Industries Training and Research Institute and Brigadier-General Mohammad Reza Naqdi, former Deputy Chief of the Armed Forces General Staff for Logistics and Industrial Research. Earlier on Wednesday, the chief of the Russian Armed Forces General Staff Nikolay Makarov said Russia would not sell its long-range surface-to-air missile systems, S-300, to Iran as they fall under UN Security Council sanctions against Tehran. General Makarov was also asked to comment on whether the respective contract with the Islamic Republic will be torn up. “Time will show. It will depend on Iran’s behavior,” he responded. The deal, estimated to be worth around US$1 billion, was signed back in 2007. However, as yet no missiles have been delivered to Iran but the contract still has not been cancelled and the authorities are saying they are waiting for Iran’s reaction to the announcement, and how the decision is going to be taken by president. On June 9, the UN Security Council adopted a new – fourth – set of sanctions against Tehran over its uranium enrichment program. That followed Tehran’s failing to prove its program has no military motives. The new document – developed jointly by the United States, Russia, China, United Kingdom, France and Germany – imposes a ban on supplying Iran with tanks, military ships, combat aircraft, as well as large caliber artillery, missiles and missile systems. The final decision on the fate of the S-300 shipment to Iran was to be made by the country’s President Dmitry Medvedev. “We should take into account that the resolution includes a whole set of measures, which cover different aspects of relations with Iran and other countries and they are all inter-connected. According to our practice, a UN Security Council's resolution must first be realized through a decree of the Russian president before it is implemented, as will be done in this case. 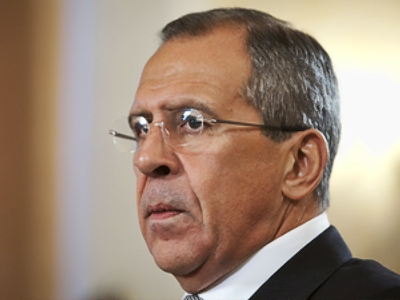 The resolution will define which particular arms are to be banned from being supplied to Iran according to the resolution,” Foreign Minister Sergey Lavrov said commenting on the issue shortly after the resolution was approved. Just recently Russia built and then helped to start the peaceful Bushehr nuclear power station in Iran, and this project was monitored by IAEA. Co-operation of this kind has been strongly criticized by the US for quite some time, so Washington’s reaction to the news is expected to be very positive. 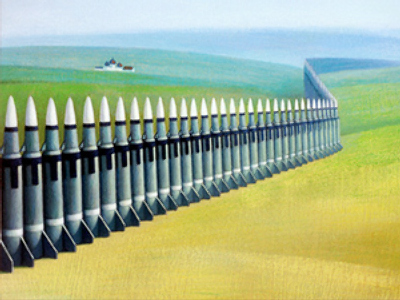 Within the context of resetting of relations, which both Moscow and Washington have been engaged in since Barack Obama became US president, there have been positive tendencies in the relations – such as the signing of the Strategic Arms Reduction Treaty and co-operation in the military sector. Russia’s Defense Ministry has recently announced that Moscow is planning to buy some arms from the US, and there is also strong co-operation in the space industry between Russia and the US. Russian defense analyst Vadim Kozyulin believes that the shift of plans concerning S-300 missile systems has to do with the recent visit of the Russian Defense Minister to the US. The defense analyst believes that resets of Russian-Israeli and Russia-US relations means a new strategy in Russian policy towards Western countries and towards Israel. Speaking of the balance of powers in the Middle-East, Vadim Kozyulin drew attention to the observers to the fact that the United States planned to deliver new modern weapons to Saudi Arabia and other Arab countries to the amount of $60 billion. Dmitry Suslov from Council on Foreign and Defense Policy believes the crucial decision is related to the forthcoming US congressional elections and aimed at strengthening the Obama administration and democrats as such. 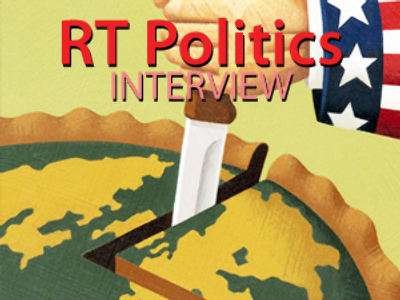 “There is much criticism on the part of the republicans in the US that the reset of the US relations with Russia is senseless because it doesn’t pay,” Suslov explained. “There are lots of accusations that the US make concessions, make good gestures to Russia, and don’t get anything back. There was much criticism even with the substance of the sanctions against Iran.” So now Russia is demonstrating that the reset really does pay and that by improving relations with Russia, the US really does get what it wants, the analyst added. Speaking of Russia’s plans to spend more than US$600 billion to re-equip its army and possibly buy military technology from the US, Dmitry Suslov told RT about possible consequences. “First, this decision is a further step towards improvement of the overall political atmosphere of the US-Russia relations, which, in its turn, helps Russia to purchase American weaponry and to establish and improve military-to-military relations, to start the military dialogue and to use the United States as the source of Russia’s military modernization,” Suslov said. Igor Khokhlov from the Moscow-based Institute of World Economy and International Relations claimed that Russian officials have always been very prudent and have always followed the international line. “Actually Russian officials announced from the very beginning, right after the sanctions were imposed, three months ago in June, that Russia is going to follow all international regulations and international law and if this system, S-300, falls under the sanctions, it means it will not be shipped to Iran before the situation changes,” Khoklov recalled. “Russian Prime Minister Vladimir Putin said it right after the sanctions were imposed.” As for the Russia’s plans to increase military co-operation with Israel, there is nothing especially interesting about it, Khokhlov said.